This section describes how to set up a secure HTTP server for your Bizagi processes, so that they can be accessed securely via the internet. 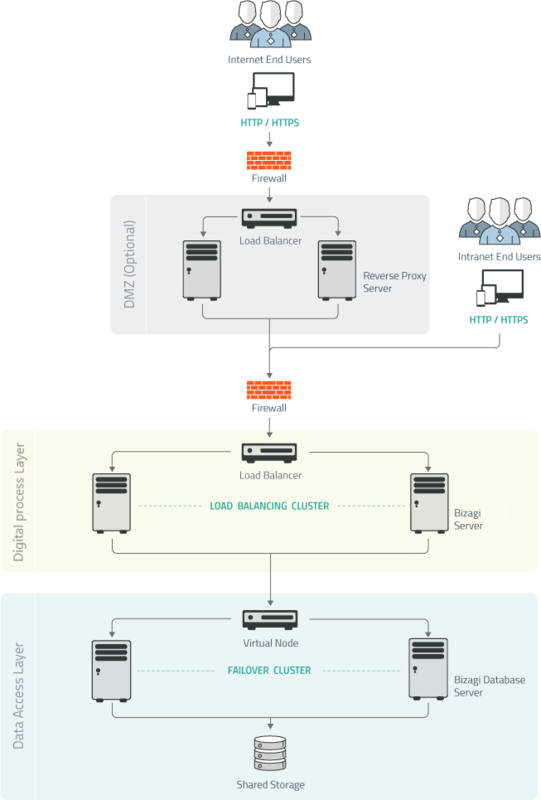 Automation Server supports access from both an intranet and an extra net with proper security measures, by using a reverse proxy architecture. By following this guide you can implement a reverse proxy for your Bizagi project, using an Apache HTTP server and secure socket layer (SSL) encryption so that any device can access the Bizagi Work portal. This proxy server is set up so that access from Internet is redirected in a securer manner to your Bizagi server, while users in the intranet continue to access the Bizagi web application from the inside. To use Apache HTTP Server, install it in your DMZ and configure it according to the sections below. 1. 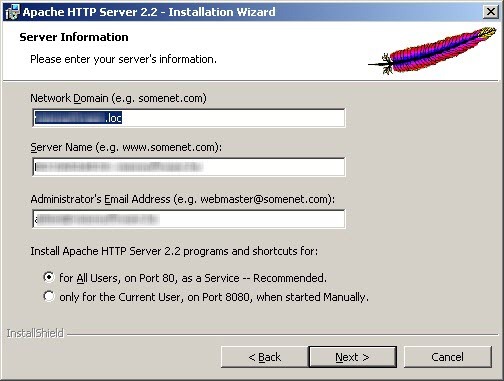 Download Apache HTTP Server. Find the latest available version according to your chosen server in the Apache HTTP Server official webpage. 2. Install the server. 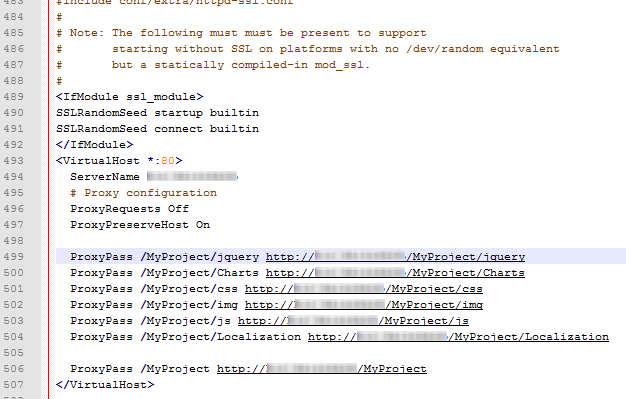 Notice that the prompted configuration parameters may be modified later. Your chosen path for the Apache HTTP Server will be addressed from now on as <APACHE_HOME>. 1. Locate the Apache configuration file. Edit the httpd.conf file located at <APACHE_HOME>\conf\ as described below. 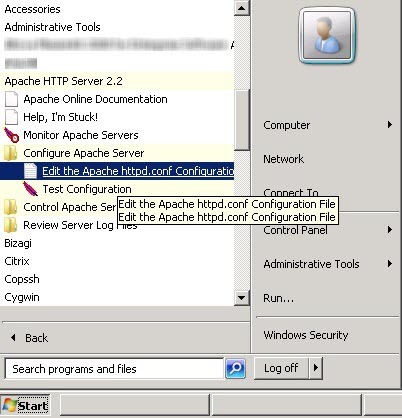 This file may be edited too in Windows by accessing the option through Start -> All Programs -> Apache HTTP Server 2.2 -> Configure Apache Server -> Edit the Apache httpd.conf configuration file. 2. 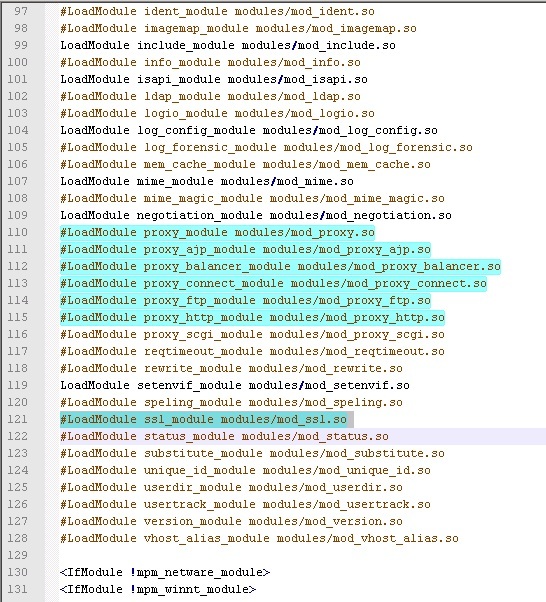 Enable the necessary proxy modules. For further and complete guide information about the Apache proxy module, refer to the official documentation. The default Listen option uses port 80, but 8080 is also often used. 3. Configure the reverse proxy settings. Include the definition of the reverse proxy. Verify that you are using SSL. •[APACHE_IP]: The IP address to access your Apache service. •[APACHE_PORT]: The HTTP port under which Apache service recive requests. •[BIZAGI_SERVER]: The server which hosts your Bizagi project (on which Automation Server runs). •[YOUR_PROJECT]: The virtual directory of your Bizagi project. •<APACHE_HOME>: Apache's installation directory. This configuration file uses "/" (instead of "\") as the folder separation character. •<LOCAL_PATH>: The local path in which the SSL certificate files are found. •[APACHE_PORT]: The HTTP port under which Apache service recives requests. View further the complete guide about the SSL directives. Save the changes in this file and restart your Apache HTTP server. At this point you are set to access your Bizagi project from the Internet through the Apache HTTP Server in a secure manner! In the configuration presented above, the Bizagi Work portalmust allows anonymous authentication. This means, whether you are using integrated authentication (such as Windows) or Bizagi's local authentication, at the Bizagi Server (namely in the IIS, for the .NET edition), you need to enable anonymous authentication. This request will redirect you to your configured Bizagi Work Portal.